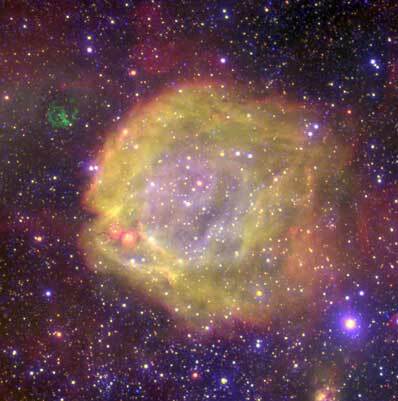 Quite a few of the most beautiful objects in the Universe are still shrouded in mystery. 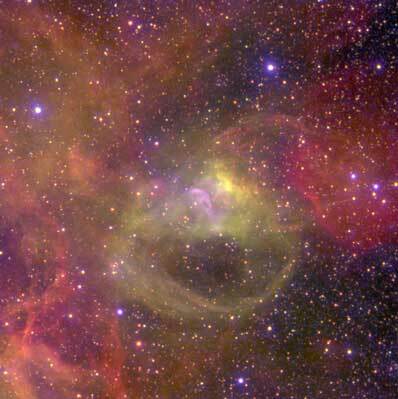 Even though most of the nebulae of gas and dust in our vicinity are now rather well understood, there are some which continue to puzzle astronomers. This is the case of a small number of unusual nebulae that appear to be the subject of strong heating - in astronomical terminology, they present an amazingly "high degree of excitation". This is because they contain significant amounts of ions, i.e., atoms that have lost one or more of their electrons. Depending on the atoms involved and the number of electrons lost, this process bears witness to the strength of the radiation or to the impact of energetic particles. But what are the sources of that excitation? 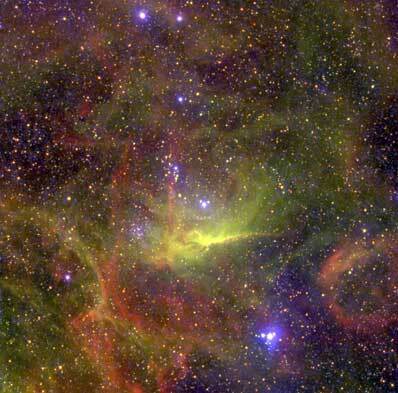 Could it be energetic stars or perhaps some kind of exotic objects inside these nebulae? How do these peculiar objects fit into the current picture of universal evolution? 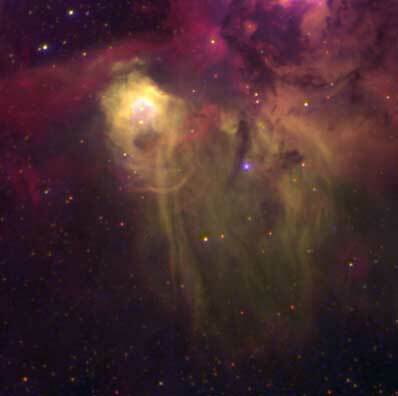 New observations of a number of such unusual nebulae have recently been obtained with the Very Large Telescope (VLT) at the ESO Paranal Observatory (Chile). In a dedicated search for the origin of their individual characteristics, a team of astronomers - mostly from the Institute of Astrophysics & Geophysics in Liege (Belgium) - have secured the first detailed, highly revealing images of four highly ionized nebulae in the Magellanic Clouds, two small satellite galaxies of our home galaxy, the Milky Way, only a few hundred thousand light-years away. In three nebulae, they succeeded in identifying the sources of energetic radiation and to eludicate their exceptional properties: some of the hottest, most massive stars ever seen, some of which are double. With masses of more than 20 times that of the Sun and surface temperatures above 90 000 degrees, these stars are truly extreme.